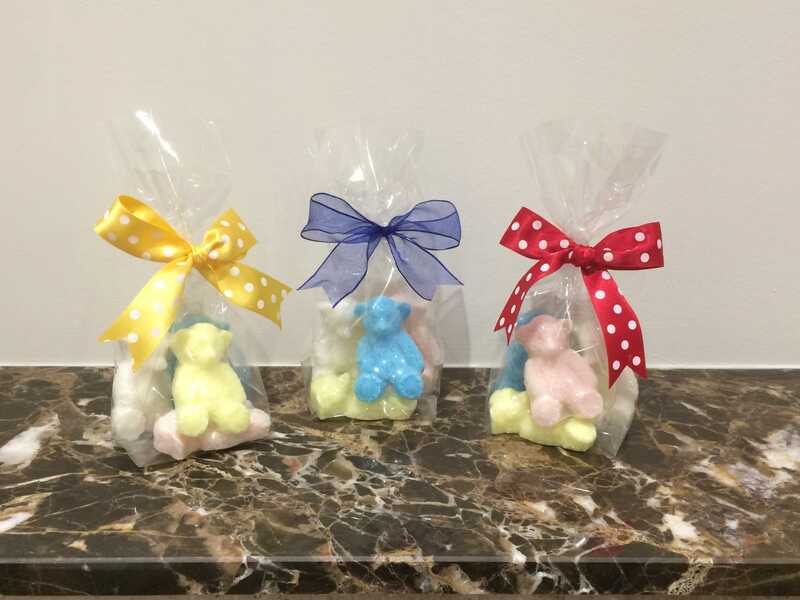 These crystal clear bags, with hand-tied ribbon, contain four of the cutest bear soaps you ever did see (or feel)! One bear each of Banana Berry, Coconut, Rose and Wild Berry fragrances, all are allergen-free. All bears are lovingly moulded from our rich moisturising Goats Milk soap. Bags each contain one yellow bear, one white, one pink and one blue bear. 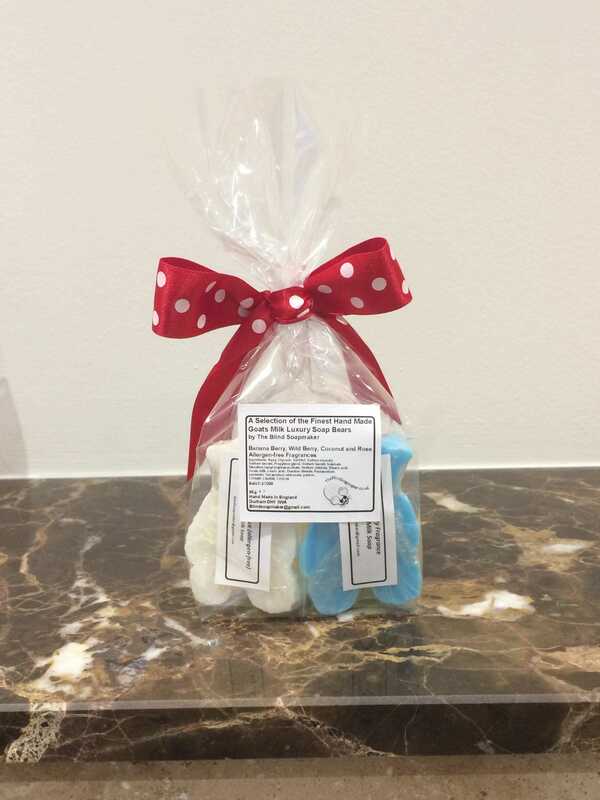 PLEASE NOTE Following customer feedback we have replaced the PEACH coloured bear pictured with a BLUE Wild Berry fragranced bear.